This page shows the latest Vertex news and features for those working in and with pharma, biotech and healthcare. 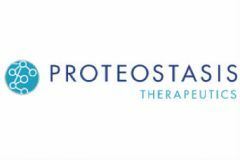 Vertex has a triple therapy in advanced development, and investors hoped that Proteostatis’ own combination could challenge Vertex. ... This would match the exclusion criteria used in Vertex’s trials, but Y.
ideas.”. Deciphering the feasibility of this hope was difficult for the MPs, as Scotland’s deal with Vertex remains confidential. ... an overly generous deal on Vertex's first CF drug, Kalydeco, back in 2012. In the face of Vertex’s corporate intransigence, the lives of NHS patients should take precedent.”. ... Those within the company who might moderate Vertex’s behaviour are disincentivised from doing so. Approximately 39 fully matching, plus 73 partially matching documents found. Its high prices are controversial, but Vertex also embodies the best of biopharma drug development. " />. ... The failure of Proteostasis has led analysts to upgrade forecasts for Vertex’s own franchise. Is Vertex’s price reasonable? This is the million dollar question, so to speak. ... October 2016: Orkambi negotiations between Vertex, the UK government and the NHS get underway. an overly generous deal on Vertex’s first CF drug, Kalydeco, in 2012. ... Vertex, at £850m a year, would go out of business in three to five years. Approximately 5 fully matching, plus 19 partially matching documents found. In her new role, Marchand will report to Eatwell and she will oversee the group’s portfolio of clients, which includes Sanofi Pasteur and Vertex Pharmaceuticals. He has spent 16 years at Novartis holding roles in human resources, marketing, and sales, and he has also served Vertex Pharmaceuticals in various positions. Reckitt Benckiser. Stallergenes. Sun Pharma. Takeda. ThermoFisher Scientific. Vertex. Global: Acelity, Bayer, Janssen, Kite (a Gilead Company), Merck, MSD, Pfizer, Vertex. New drugs from Vertex (Incivek) and Merck (Victrelis) have been welcomed because they are more effective, but they still need to be given with Interferon. Unilever. Vasopharm. Vertex. Vetoquinol. Vifor Pharma. VR1 Inc. Wyss Center. Xenetic Biosciences.